Apple v. Samsung – Apple alleged infringement of five of its smartphone patents, and Samsung countersued for infringement of two of its patents. After a jury trial, the district court entered a judgment awarding Apple $119,625,000 in damages and ongoing royalties for infringement of several of its patents, but found that Samsung had not infringed two of the patents. The jury also found Apple had infringed one of Samsung's patents but not the other, and awarded $158,400 in damages. Circuit reverses the denial of Samsung's motion for JMOL of non-infringement as to the principal patent in suit, determining that Apple failed to prove that the accused Samsung products use a so-called "quick links" feature that permits users to quickly click on phone numbers and other links, rather than having to copy and paste. The Circuit also reverses the denial of JMOL of invalidity of two of Apple's patents, directed to the iPhone's "slide to unlock" and "autocorrect" features, rejecting Apple's arguments as to secondary considerations such as commercial success and praise from Apple users. The panel affirms the judgment of non-infringement of Apple's other patents directed to "universal search" and "background sync" features, affirms the judgment of infringement of one Samsung patent and affirms the judgment of noninfringement of the other. ACCO –The panel reverses the Board's determination that the examiner did not set forth a prima facie case of obviousness in an appeal of an inter partes reexamination involving a patent directed to a shredder. The case is remanded for the Board to consider whether rebuttal evidence changes the outcome on obviousness and whether the dependent claims provide independent grounds of nonobviousness. Nuance – The Circuit affirms a claim construction ruling and determines that the district court had not deprived plaintiff of its due process rights. Appellant argued that the court should reverse claim construction under O2 Micro because the district court had declined to resolve a claim construction dispute before trial. The Circuit disagrees, finding that after having won the claim construction dispute, appellant's attempt to reverse course just before trial was unjustified. Appellant also argued that the lower court erred by adopting a dictionary definition of a disputed claim term that conflicted with the intrinsic evidence. The Circuit again disagrees, finding that the trial court had given the parties latitude to present their competing evidence at trial, so that any error in the jury instruction on claim construction did not affect the outcome. On the due process challenge, the Circuit finds that appellant was not entitled to a second trial on patents and patent claims not presented to the jury in a first trial. The panel held that appellant had fully cooperated in winnowing a case involving 8 patents and over 140 patent claims to just 3 representative patents and 7 representative patent claims. It found a boilerplate reservation of rights to pursue the other patents and patent claims in a later trial insufficient to offset appellant's failure to object to a single-trial process that it had originally proposed and accepted. PPC Broadband (2015-1361)– PPC Broadband appeals from the Board's final written decisions in IPRs concluding that certain claims of its patents would have been obvious. The panel affirms in part and vacates and remands in part. As to claim construction, PPC might be correct if Phillips controlled claim construction, but because the Circuit's Cuozzo decision (now being considered on certiorari) requires the Board to apply the broadest reasonable construction during IPRs, the construction is affirmed. The panel reverses and remands the Board's decision as to commercial success because the evidence shows that PPC's connectors are the invention disclosed and ‎claimed in the patent. As such, the Board and the Circuit must presume that any commercial success of these products is due to the ‎patented invention. PPC Broadband (2015-1364) – PPC Broadband appeals from the Board's decision in an IPR that involves claims not at issue in the above IPRs. The panel reverses the Board's construction of "reside around," and vacates and remands the case for a decision as to obviousness. In reversing the Board, the panel opines that the broadest reasonable construction is not necessarily the broadest available dictionary definition. While such an approach may result in the broadest definition, it does not necessarily result in the broadest reasonable definition in light of the specification. The opinion concludes with a discussion of the difficulties in using the broadest reasonable interpretation for inter partes PTO constructions while the Phillips construction will be used in court. However, in this case because the construction will be the same regardless of which standard is applied, the panel notes that the Supreme Court's ruling in Cuozzo should not require construction to be re-litigated. This is our third appeal in this case. In the first appeal, we reversed the district court's order granting a preliminary injunction enjoining Samsung from selling one of its smartphones in the United States based on a patent no longer at issue in this case. Apple Inc. v. Samsung Elecs. Co., 695 F.3d 1370 (Fed. Cir. 2012) ("Apple I"). In the second appeal, we vacated a district court remedial order denying Apple's request for a permanent injunction that would have enjoined Samsung from "making, using, selling, developing, advertising, or importing into the United States software or code capable of implementing the infringing features [of the '647, the '721, and the '172 patents] in its products." Apple Inc. v. Samsung Elecs. Co., 809 F.3d 633 (Fed. Cir. 2015). The district court decision and our reversal addressed the appropriateness of injunctive relief for assumed infringement. That decision did not address or resolve the merits of the underlying case that is now before us. In this third appeal, we confront the core infringement and invalidity issues with respect to the asserted patents. The five Apple patents involved at trial and on appeal cover various aspects of the operation of smartphones. The '647 patent covers software to detect "structures," such as a phone number, in text and to turn those structures into links, thus allowing a user to "click" on the structure to take an action (such as making a phone call) rather than having to copy and paste the structure into another application. The '721 patent is directed to the iPhone's "slide to unlock" feature, where a user can slide a moving image across the screen of the phone with his finger to unlock the phone. The '172 patent covers "autocorrect" software on the phone that automatically corrects typing errors. The '959 patent claims "Universal Search," where a user can, from a single search term, find results both from applications on the phone and from the Internet. Lastly, Apple's '414 patent covers "Background Sync" software that synchronizes information on the phone with other devices while the user is using the phone. As to Samsung's patents, the '449 patent covers camera systems for compressing, decompressing, and organizing digital photos and videos. The '239 patent covers systems for compressing and transmitting videos. After a 13-day trial, the jury found all asserted claims of the Apple patents not invalid and awarded Apple $119.6 million for infringement of the asserted claims of the '647, '721, and '172 patents. The jury, however, found that Samsung had not infringed Apple's '414 patent or Apple's '959 patent. Additionally, the jury found that Apple had infringed the asserted claim of the '449 patent, awarding Samsung $158,400 in damages, but found Samsung's '239 patent not infringed. The district court entered judgment. a processing unit coupled to the input device, the output device, and the memory for controlling the execution of the program routines. Claim 9 adds an additional limitation, "wherein the user interface enables selection of an action by causing the output device to display a pop-up menu of the linked actions." Samsung contends that Apple failed to produce any evidence from which a reasonable jury could conclude that Samsung's allegedly infringing phones practiced the "analyzer server" limitation. Before trial, neither party sought construction of "analyzer server," agreeing that it should be given its ordinary meaning. However, on the last scheduled day of trial, we issued a decision in another case construing this term in the same claim at issue here. See Motorola. The district court adopted our construction and allowed each party to recall its expert witnesses to address whether the allegedly infringing devices met the limitation under our new construction. The district court then allowed the case to proceed to the jury. In the Motorola case, we construed "analyzer server" to mean "a server routine separate from a client that receives data having structures from the client." Our construction required that the "analyzer server" be a piece of software that runs separately, receives data from a client application, performs the "detecting" and "linking" steps, and then returns that data to the client application. Here, Apple accused two applications on Samsung devices of infringing claim 9: the Browser application (the web browser) and the Messenger application (used for text messaging). There can be no question that before the last day of trial, Apple tried its case based on the claim construction that we rejected in Motorola. Apple's expert explicitly testified that the claim language covered any "piece of software that performs these functions," and that the claim language did not require software that could be used across different applications. In other words, Apple's expert, prior to the last day of trial, testified that the "analyzer server" need not be a separate piece of software that runs on its own. On the last day of trial, Apple recalled the same witness to testify that the accused devices infringed even under our new claim construction. He testified that the accused software was a separate "analyzer server" because the Samsung application (i.e., Messenger) "goes to the code where it is and uses it there, and it does that each time it accesses the code." He also testified that these shared library programs were "definitely separate from the applications" because they were stored in a different part of memory, they received data from the Messenger and Browser applications, and they were developed independently of the Browser and Messenger applications. However, this testimony is not sufficient evidence to allow a jury to conclude that the Samsung software met the "analyzer server" limitation. Multiple Samsung experts testified that the Samsung software library programs "do not run on their own. They run as part of the application that is using" them. Another Samsung expert testified that the client program "goes to the library" and "integrates" the library program code into the application, at which point "the library code is no different than any other code in the application." Apple provided no evidence that the accused software library programs in the Samsung phones run separately from the Browser and Messenger applications. No reasonable jury could have concluded that the accused devices had "an analyzer server for detecting structures in the data, and for linking actions to the detected structures." We reverse the district court's denial of JMOL of non-infringement by the Samsung devices of claim 9 of the '647 patent. Apple asserted claim 8 of the '721 patent and claim 18 of the '172 patent. Before trial, the district court granted Apple summary judgment of infringement of the '172 patent. The jury found both patents not invalid and found the asserted claim of the '721 patent infringed, awarding $2,990,625 for infringement of the '721 patent by three Samsung products and $17,943,750 for infringement of the '172 patent by seven Samsung products. Additionally, the jury found that Samsung had willfully infringed the '721 patent, which Apple argued supported an award of enhanced damages. The district court denied Samsung's motions for JMOL of invalidity and noninfringement, but granted JMOL that Samsung did not willfully infringe the '721 patent. On appeal, Samsung challenges the determination as to invalidity, and Apple challenges the JMOL as to willfulness. The '721 patent is directed to the "slide to unlock" feature of the iPhone. As described in the specification, one problem with a portable device with a touchscreen is the accidental activation of features. When a user puts the portable device in a pocket, features may be activated by unintentional contact with the screen, and, for example, a phone call might be made. Thus, cell phone manufacturers had long used "well-known" procedures to prevent this, by locking the phone (i.e., not recognizing any touch inputs) until the user has "pressed a predefined set of buttons . . . or entered a code or password" to "unlock" the device. The '721 patent claims a particular method of unlocking. The user touches one particular place on the screen where an image appears and, while continuously touching the screen, moves his finger to move the image to another part of the screen. At trial, Samsung presented two prior art references, the NeoNode N1 Quickstart Guide ("Neonode") from 2004 and a video and paper by Plaisant that were presented at a computer-human-interactivity conference in 1992. The parties treat the Plaisant video and paper as a single reference, and we do the same. Samsung argues that these two references together disclose every limitation of claim 8 of the '721 patent and that it would be a trivial matter for one of skill in the art to combine the teachings of these two references. Thus, it asserts that claim 8 would have been obvious because it is simply "the combination of familiar elements according to known methods." The Neonode reference describes an unlocking mechanism for a touchscreen phone where a user can, through movement of a finger continuously touching the screen of the device, unlock the phone. Samsung contends, and Apple does not dispute, that Neonode discloses all of the limitations of claim 8 except for limitations concerning an "unlock image" or the visual depiction of its movement. The claim requires using a "predefined location corresponding to an unlock image," "continuous move[ment]" of the unlock image, and unlocking the device if the unlock image is moved from "one location to another." In other words, Neonode discloses using a touch gesture on the screen to unlock a phone but does not have a moving image associated with the gesture. The Plaisant paper, Samsung argues, supplies the missing element. The Plaisant paper "compares six different touchscreen-based toggle switches to be used by novice or occasional users to control two state (on/off) devices in a touchscreen environment." In one of these toggles, the "slider toggle," "a sliding/dragging movement is required to change the position of the yellow pointer from one side of the toggle to the other. . . . Users can "grab the pointer and slide it to the other side." The "lever toggle" has the same functionality with a different appearance. As demonstrated on the video of the conference presentation, the user will place his finger at one end of the slider (the first predefined location) and will continuously move his finger to the other end of the slider (the second predefined location). While the user is moving his finger, the screen display will move the image. On appeal, Apple does not dispute that Plaisant, when combined with Neonode, discloses all of the claimed features of the '721 patent. Rather, Apple argues that the jury could have reasonably found that (1) Plaisant teaches away from using the "slider toggle" and (2) a skilled artisan would not have had the motivation to combine Neonode and Plaisant because Plaisant describes wall mounted devices rather than portable mobile phones. First, Apple argues that Plaisant teaches away because the reference indicated that sliders were less intuitive than some other designs used. Specifically, the Plaisant paper states that "[t]he toggles that are pushed seemed to be preferred over toggles that slide. A possible explanation is that sliding is a more complex task than simply touching, but we also noticed that sliders are more difficult to implement than buttons!" Our cases have recognized the "mere disclosure of more than one alternative" does not amount to teaching away from one of the alternatives where the reference does not "criticize, discredit, or otherwise discourage the" solution presented by the disclosure. SightSound Techs., LLC v. Apple Inc., 809 F.3d 1307 (Fed. Cir. 2015) The fact that the Plaisant paper here notes that users did not prefer the particular design of the slider toggles is not evidence of teaching away. The reference simply discloses that users were able to figure out the pushbutton-type toggles more intuitively than the slider toggle. Under our authority, a reasonable jury could not have found that Plaisant teaches away from using sliding toggles. Apple also argues that the jury could have found that a skilled artisan would not have been motivated to combine Plaisant with Neonode because Plaisant is not relevant prior art. A reference qualifies as analogous prior art if it is "from the same field of endeavor, regardless of the problem addressed" or "if the reference is not within the field of the inventor's endeavor, . . . the reference still is reasonably pertinent to the particular problem with which the inventor is involved." Samsung presented expert testimony that a person of skill in the art "would be highly interested" in both Neonode and Plaisant when faced with the inadvertent activation problem because "they both deal with touch base[d] systems, they both deal with user interfaces. As is described in the patent itself, the invention of the '721 patent "relates generally to user interfaces that employ touch-sensitive displays, and more particularly, to the unlocking of user interfaces on portable electronic devices." Accordingly, the patentee included as potentially relevant many prior art references relating generally to human-interface design, including the Plaisant reference. The specification clearly describes the field of the invention as being related to "transitioning" touch screen devices between interface states. The Plaisant paper describes exactly this same function. A skilled artisan would naturally turn to references like Plaisant to find solutions. A reasonable jury could not conclude otherwise. Apple argues that even if Samsung established a prima facie case of obviousness, the evidence of secondary considerations demonstrates nonobviousness. Certainly secondary considerations "must be considered in evaluating the obviousness of a claimed invention." But here, the prima facie case of obviousness was strong. Apple's evidence of secondary considerations was weak and did not support a conclusion that the '721 patent was nonobvious. For long-felt but unresolved need, Apple argues that before Apple's invention, phone designers tried for years to solve the accidental activation problem and only came up with 'frustrating' methods." To demonstrate long felt need, the patentee must point to an "articulated identified problem and evidence of efforts to solve that problem" which were, before the invention, unsuccessful. Apple appears to identify the unsolved problem as the lack of an "intuitive" method of unlocking a touch-screen portable device. But Apple provided no evidence showing that this problem was recognized in the industry. No reasonable jury could find testimony by a single expert about his personal experience with one device as evidence of an industry-wide long-felt need. Apple's contention here is nothing more than an unsupported assertion that Apple's method is better and more "intuitive" than previous methods. This is not sufficient to demonstrate the existence of a long-felt but unmet need. As evidence of industry praise, Apple presented expert testimony that the attendees at an Apple event manifested approval when Steve Jobs first presented and unlocked the iPhone. We have held that "appreciation by contemporaries skilled in the field of the invention is a useful indicator of whether the invention would have been obvious to such persons at the time it was made." For example, expression of disbelief by experts and then later acquiescence to the invention may be strong evidence of nonobviousness. Similarly, industry recognition of the achievement of the invention, such as awards, may suggest nonobviousness provided that the praise is tied to the invention claimed by the patent. Evidence of approval by Apple fans—who may or may not have been skilled in the art—during the presentation of the iPhone is not legally sufficient. As to copying, Apple also argues that internal Samsung documents show that Samsung engineers recommended modifying Samsung software to "clarify the unlocking standard by sliding" to make it the "same as the iPhone." 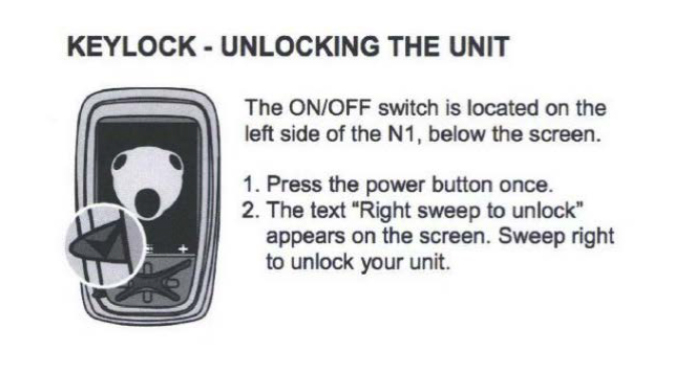 What was copied was not the iPhone unlock mechanism in its entirety, but only using a fixed starting and ending point for the slide, a feature shown in the Plaisant prior art. Evidence of copying of a feature in a patent owner's commercial product is not sufficient to demonstrate nonobviousness of the claimed invention where, as here, there is a substantial question of validity raised by the prior art references cited by the accused infringer. Thus Apple's evidence showing that Samsung copied one aspect of the Apple unlocking mechanism is entitled to little weight. Lastly, Apple points to the commercial success of the iPhone as evidence of nonobviousness. Apple argues that the success of the iPhone is tied to the patented feature of claim 8 of the '721 patent. To make this connection, Apple cites to a study where users were asked to assess their willingness to purchase a product with and without the slide-to-unlock feature. But this study only asked about tablet devices with a screen size larger than seven inches, not phones. Further, evidence that customers prefer to purchase a device "with" a slide-to-unlock capacity does not show a nexus when the evidence does not show what alternative device consumers were comparing that device to. A reasonable jury could therefore not find a nexus between the patented feature and the commercial success of the iPhone. Samsung also contends that the district court erred in denying its motion for JMOL that asserted claim 18 of the '172 patent was obvious. Again, we agree. The '172 patent covers the iPhone's "autocorrect" feature. As is described in the patent specification, the small size of a physical or virtual keyboard on portable devices leads to more "typing mistakes and thus more backtracking to correct the mistakes. This makes the process of inputting text on the devices inefficient and reduces user satisfaction with such portable devices." The '172 patent seeks to solve this problem by providing methods of automatically correcting typographical errors as the user is typing. In essence asserted claim 18 requires that current text be displayed in a first area, that the current word as typed and suggested corrections be displayed in a second area, and that the correction be automatically entered if a certain key, such as the space bar, is pressed or if the user touches the suggested replacement. Additionally, the user can choose to use the current word (as typed) if he touches that option in the second area. There is no dispute that auto correction features were known in the prior art. Samsung presented two pieces of prior art that it contends together teach every limitation of the claimed invention. The Robinson patent is directed to a "keyboard system with automatic correction" which describes a touchscreen keyboard that can automatically correct incorrectly typed text. In this invention, a pop-up window appears as a user is typing a word, displaying the current character string and a list of suggested replacements. Samsung argues that "displaying what a user is typing (i.e., the current character string) in the text entry area was a well-known behavior in computers." It points to Xrgomics, which describes another text-entry system. Xrgomics discloses a "letter and word choice text input method" and describes "quick selection of choices to be implemented seamlessly for reduced keyboard systems," like those in mobile devices. The combination of Robinson and Xrgomics results in Apple's invention. Apple argues that the jury could have found that a skilled artisan would not have been motivated to combine Xrgomics with Robinson because Xrgomics primarily discloses a text completion (rather than text correction) system and that this is a different field than an autocorrect system. But, as with the '721 patent, the specification does not so narrowly draw boundaries around the field of the invention, stating that the disclosed invention "relates generally to text input on portable electronic devices." Considering the "reality of the circumstances—in other words, common sense," a skilled artisan would have considered Xrgomics to be within the scope of the art searched. Certainly text correction and text completion are closely related problems in the "same field of endeavor" such that they would be considered analogous arts. There is a strong prima facie case of obviousness. Apple also argues that a jury could have found its evidence of secondary considerations sufficient to demonstrate nonobviousness. As to the '172 patent, Apple relies only on copying and commercial success. For copying, Apple again points to internal Samsung documents showing that one feature of the iPhone was copied. Prior to the copying, the Samsung phones automatically corrected the typed text as the user typed. On the iPhone, the correction was made only after the user "accepts or hits space." Id. This feature is exactly what was disclosed in Robinson. When the feature that is copied is present in the prior art, that copying is not relevant to prove nonobviousness. For commercial success, Apple again relies on survey evidence to link the commercial success of its iPhone to the subject matter of claim 18. Here, the survey does address consumer preferences for this feature on phones. Users were asked whether they would be more or less likely to purchase a smartphone at a particular price point with or without autocorrection. The survey evidence indicates that consumers were more likely to purchase smartphones with automatic correction than without automatic correction. However, the survey evidence does not demonstrate whether a consumer would be more or less likely to buy a device with the specific combination of features reflected in claim 18 of the '172 patent as opposed to, for example, the Robinson prior art. To be relevant, commercial success must be linked to the "merits of the claimed invention," rather than features known in the prior art. Apple's evidence shows that phones with autocorrection may sell better than phones without autocorrection, but it does not show that phones with the specific implementation of autocorrection embodied by claim 18 sell better than phones with other methods of autocorrection disclosed by the prior art. "A nexus must be established between the merits of the claimed invention and the evidence of commercial success before that issue becomes relevant to the issue of obviousness." Apple presented no evidence demonstrating a nexus between the commercial success of the iPhone and the features claimed by the patent, and accordingly the claimed evidence of commercial success is entitled to no weight. The jury found the asserted claim of Apple's ‘959 patent not invalid but not infringed. After trial, both sides filed motions for JMOL, with Samsung arguing invalidity (anticipation and indefiniteness) and Apple arguing infringement, both of which the district court denied. Both sides appeal. We first address the issue of infringement. The '959 patent covers "universal search" on the iPhone. In short, the patent describes a method of providing "convenient access to items of information . . . by means of a unitary interface which is capable of accessing information in a variety of locations," such as information stored on the phone and information stored on the Internet. A user will input a search term into the search bar, and the phone will search a plurality of locations, including the address book, the calendar, and the Internet. The phone then displays results from all of these various searches in a list. On appeal, the only issue of contention is whether the search feature on the Samsung phones "provides said information identifier to a plurality of heuristics to locate information in the plurality of locations which include the Internet and local storage media," specifically whether the search function on the Samsung phones "locates" information on the Internet. The district court found that "Samsung presented sufficient rebuttal evidence to permit the jury to decide that the accused devices lack instructions to search 'a plurality of locations which include the Internet,' as claim 25 requires." The district court pointed to two Samsung witnesses who testified that the Samsung search function "does not search the Internet, but rather 'blends' data previously retrieved from a Google server and a local database." In other words, these experts testified that because the search function only searched information previously pulled from the Internet, it was not searching the Internet, as required by the claim language. As the district court found, this is substantial evidence supporting the jury verdict of non-infringement. We thus agree with the district court and affirm the denial of Apple's motion for JMOL of infringement of claim 25 of the '959 patent, and affirm the judgment of non-infringement. Since we sustain the jury's verdict of non-infringement, we need not address issues of invalidity. The jury found the asserted claim of the '414 patent not invalid and not infringed. After trial, both sides challenged the jury verdict, with Samsung moving for JMOL of invalidity and Apple moving for JMOL of infringement. The district court denied both motions. Both parties appeal. We address first the issue of infringement. The '414 patent covers "background sync" and describes systems, methods, and computer readable media for synchronizing data between multiple devices. Specifically, the patent covers simultaneous synchronization where the "synchronization tasks and non-synchronization tasks are executed concurrently." Basically, this means that a user can continue using a program that manipulates data (say the Address Book) and the system can synchronize the data being used (i.e., the contacts in the Address Book) at the same time. The invention will "synchronize" a contact created on an iPhone to another device, such as an iPad, without any user interaction. Apple contends that the jury's finding of noninfringement is not supported by substantial evidence, and that the district court erred in concluding otherwise. As the district court found, "it is undisputed that claim 20 requires at least three distinct 'synchronization software components. The first is the claimed synchronization software component 'configured to synchronize structured data of a first data class' and the other two are the 'other synchronization software components' configured `to synchronize structured data of other corresponding data classes." In other words, the claim requires three pieces of software that will synchronize three different data classes, such as contacts, calendar, and email. It is also undisputed that the accused Samsung phones contain synchronization software components that meet the other limitations of the claims for two data classes (calendar and contacts). The only issue is whether the Samsung devices contain synchronization software components "configured to synchronize" for email. The limitation in question was construed by the district court to have its plain and ordinary meaning. The district court concluded that "substantial trial evidence permitted a reasonable jury to determine noninfringement" on the basis of Samsung expert testimony that email software was not configured to synchronize because it does not synchronize data by itself, but rather "indirectly 'causes' synchronization by calling other software components." We agree with the district court that this is substantial evidence supporting the jury verdict of non-infringement. Apple now argues that this testimony is insufficient because the plain and ordinary meaning of "configured to synchronize" includes indirect causes of synchronization, like the Samsung email software. The Samsung expert testimony, according to Apple, does not suffice as substantial evidence because it "imports additional limitations into the claims' by suggesting that a sync adapter be configured to perform all synchronization or to perform synchronization in a specific way." The district court rejected this argument because "Apple seeks a post trial construction for 'configured to synchronize' despite never requesting such a construction before." We agree and affirm the judgment of non-infringement. The jury, based on the district court's claim construction, found asserted claim 15 of the '239 patent not infringed. Samsung argues that the district court erred in construing "means for transmission" in claim 15.
means for transmission of said captured video over a cellular frequency. The district court construed "means for transmission"—a means-plus-function claim limitation—to require software "performing a software sequence of initializing one or more communications ports on said apparatus, obtaining a cellular connection, obtaining said captured video, and transmitting said captured video" disclosed in the specification, in addition to hardware. Samsung argues that the specification of the '239 patent does not require any software for transmission, and including such software in addition to hardware as necessary structure was error. But, as the district court found, "the term 'transmission' implies communication from one unit to another, and the specification explains that software is necessary to enable such communication." Consistent with this, "the specification teaches that a software sequence is necessary for transmitting a signal in the context of the invention. " Hardware, alone, does nothing without software instructions telling it what to do, and the patent recognizes this, stating that the "transfer software" is what "enables" the transmission. Thus, because corresponding structure must include all structure that actually performs the recited function, the district court correctly included software as part of the corresponding structure for "means for transmission." We affirm the district court's construction of "means for transmission" in claim 15 of the '239 patent and the judgment of non-infringement. Samsung asserted claim 27 of the '449 patent. The jury found that Apple had infringed and awarded $158,400 in damages. The district court denied Apple's post-trial motion for JMOL of non-infringement. Apple challenges the district court's denial of its motion for JMOL that its products do not infringe the '449 patent. Samsung's '449 patent is directed to camera systems for compressing/decompressing and organizing digital files, such as photos and videos. There are three limitations at issue on appeal. First, Apple contends that no reasonable jury could have found that the Apple products met the "compressor" and "decompressor" limitations of the claim because these limitations require components that compress or decompress both still images and videos, and its products use separate and distinct components to compress and decompress still images and videos. But, as the district court found, Samsung presented testimony that "identified a single Apple design chip with the circuitry that performs both compressing methods." Even though this chip may contain separate components, a jury may still have reasonably concluded that the chip (not the individual components of that chip) performs the "compressing" and "decompressing" steps and that the chip itself meets the "compressing" and "decompressing" limitations. Second, Apple contends that no reasonable jury could have found that the Apple products met the "search mode" limitation because the Apple products do not display a "list," as required by the claims. The Apple products contain a "Camera Roll" which displays an array of thumbnails (small previews of the image). Samsung presented expert testimony that this "Camera Roll" was a "list" under the plain and ordinary meaning of that term in the context of the '449 patent. As the district court found, a jury could have believed this testimony and concluded that this limitation was met. Lastly, Apple argues that its products do not have a recording circuit that "records each one of said plurality of image signals with classification data." '449 patent, col. 18 11. 32-33. Apple argues that the Camera Roll on its products includes all photos and videos taken with the device so that there is no classification of the images. But again, Samsung presented testimony that the Apple products record images with classification data. Samsung's expert testified that, for example, the Camera Roll contains "Albums" that are created automatically as well as albums that are created by the user. A jury could have reasonably believed this expert and found that Apple's products contained "classification data." Therefore, we affirm both the district court's denial of JMOL of non-infringement by Apple of claim 27 of the '449 patent and the judgment of infringement. This case arises from an inter partes reexamination that ACCO sought against Fellowes' '468 patent. The patent claimed a shredder that prevents paper jams by combining a presence sensor that detects paper and a thickness sensor that detects a thickness of a stack of paper. Because the prior art describes both the presence sensor and the thickness sensor and a controller, Fellowes bases its position that it invented something nonobvious on its particular combination of these prior art elements. Fellowes sued ACCO the day that the '468 patent issued. ACCO requested and the PTO instituted an inter partes reexamination of the '468 patent that resulted in the district court staying infringement proceedings pending the outcome of the reexam. The reexamination examiner found a prima facie case that the independent claims would have been an obvious combination of the prior art thickness and presence sensors and the prior art controller in a paper shredder. Fellowes appealed to the Board. The Board agreed with the examiner's findings but focused on the claims' requirement that the controller be configured to start the motor only when the presence sensor detects paper and the thickness sensor determines that the paper stack is not too thick. The Board determined that, even if an ordinary artisan might have found it obvious to combine the two prior art sensors and the prior art controller, he would not have found it obvious to configure this controller as claimed. The Board found that the examiner had not made out a prima facie case that the independent claims would have been obvious. Under the framework set forth in KSR Int'l Co. v. Teleflex Inc., 550 U.S. 398 (2007), the patent examiner must first establish a prima facie case, supported by evidence, showing why the claims at issue would have been obvious in light of the prior art. Once the examiner sets out this prima facie case, the burden shifts to the patentee to provide evidence or argument sufficient to rebut the examiner's evidence. We find that it would have been obvious to combine the prior art presence and thickness sensors and the prior art controller in a single shredder for two independent reasons. First, an ordinary artisan would have found motivation to modify the shredder with the thickness sensor disclosed in one prior art reference to add a presence sensor and controller. An ordinary artisan would understand that for this shredder to function, the user must have some way to turn the shredder motor on in the first place. The prior art discloses presence sensors and controllers as a common way to turn a shredder motor on. Second—and alternatively—an ordinary artisan would have been motivated to modify a prior art shredder containing a presence sensor and controller to add a thickness sensor to prevent jamming. The prior art consistently located the two sensors at issue in the shredder's feed, and no party disputes that an ordinary artisan would have found this the obvious location for the combination of sensors. The ordinary artisan would then be left with two design choices: the thickness sensor either could be placed above the presence sensor in the feed, so that the paper contacts the thickness sensor before the presence sensor, or below so that the paper contacts it after. Each of these two design choices is an obvious combination of prior art elements. See KSR ("When there is a design need or market pressure to solve a problem and there are a finite number of identified, predictable solutions, a person of ordinary skill has good reason to pursue the known options within his or her technical grasp. If this leads to the anticipated success, it is likely the product not of innovation but of ordinary skill and common sense."). The first choice, with the thickness sensor above the presence sensor in the feed, necessarily satisfies the claim limitations. Fellowes correctly notes that the second configuration of the two sensors—where the presence sensor is above the thickness sensor—would result in slightly different shredder behavior that fell outside of the claims' scope. But even if one possible obvious combination falls outside of the claims, it fails to undercut the fact that the other possible obvious combination lies within their scope. The examiner therefore successfully set out a prima facie case that the independent claims would have been obvious. The parties originally disputed the construction for a number of terms in the '342 patent, including "identifying." After the Markman proceeding, the Court decided that the term should be given its plain and ordinary meaning. However, it became apparent during summary judgment briefing that the parties disagreed as to the plain and ordinary meaning of "identifying," or at least its application to the accused devices. The district court ordered the parties to arrive at a mutually agreed upon "ordinary meaning" of the term "identify." The parties could not agree. In an order resolving pretrial submissions, the court, without further explanation, stated that it "adopts the plain and ordinary meaning of the terms ‘identifying' as ‘to establish the identity of.'" The court instructed the jury accordingly. On appeal, Nuance maintains that the district court failed to resolve the parties' claim construction dispute before trial in violation of O2 Micro International Ltd. v. Beyond Innovation Technology Co., 521 F.3d 1351 (Fed. Cir. 2008). We disagree. The fact that shortly before trial Nuance became dissatisfied with its own proposed construction and sought a new one does not give rise to an O2 Micro violation. Nuance further contends that the district court erred in adopting a dictionary definition for the disputed terms that it says conflict with the intrinsic evidence. But Nuance has shown no harm justifying a new trial. The district court did nothing to limit Nuance's ability to present its evidence on this issue, and its instruction to the jury did not prevent the jury from fully considering each party's position. Thus, even if the district court did err in adopting a dictionary definition for the disputed term, Nuance is not entitled to a new trial because it is clear that correction of the errors in the jury instruction on claim construction would not have changed the result, given the evidence presented. Nuance also argues that the district court violated its due process rights by entering judgment against it on all of its patents, even those that were not tried before the jury. The course of dealings below indicates that, from the outset, Nuance only intended to have a single trial on a subset of patents that would be representative of all asserted patents. In fact, in response to the court's order to the parties to provide proposals on case management, Nuance voluntarily narrowed its case to four patents and fifteen claims. The special master, assigned by the district court, agreed with Nuance's proposal. Nuance did not object to the special master's recommendations—which, of course, is not surprising, given that Nuance itself proposed the single-trial procedure—nor did it clarify that it intended to seek a second trial on the unselected patents. Nuance argues that it never abandoned its unselected patents or stipulated that the judgment on the selected patents would apply to all of its patents. Nuance made those statements, however, well before the district court adopted the single-trial procedure proposed by Nuance and recommended by the special master. Nuance further contends that it expressly reserved its rights as to all patents, including those that were not selected for trial. But a boilerplate reservation of rights is insufficient to overcome the clear recommendation from the special master for one trial—to which Nuance did not object—and the significant record evidence indicating Nuance's intention to have a single trial on a subset of its best patents. Citing In re Katz Interactive Call Processing Patent Litigation, 639 F.3d 303 (Fed. Cir. 2011), Nuance contends that all parties agree that the unselected patents raised unique infringement questions, and thus the district court erred in not allowing Nuance to try all of its patents. That is not enough. In order to merit a reversal, Nuance would need to show that it acted below to protect its due process rights. The record below shows that as the district court winnowed the case, Nuance made no motion, objection, or assertion otherwise that any limits on the number of claims or patents it could assert deprived it of any due process rights to adjudication on each unique legal issue its operative complaint presented. Instead, the record shows that Nuance actively participated in structuring the winnowing process and never objected until it had already lost at trial. There has therefore been no due process violation and the district court properly found that Nuance was not entitled to a second trial on the unselected patents. A coaxial cable has an inner electrical conductor (often called the "signal" or "signal feed") and an outer electrical conductor (often called the "ground return" or "ground"). Corning filed petitions requesting IPRs of PPC's coaxial cable patents. The Board held a consolidated hearing for the four IPRs in this appeal and issued four separate decisions in which it construed "continuity member" and "electrical continuity member," and concluded that all claims at issue would have been obvious in view of Matthews and Tatsuzuki after considering PPC's evidence of objective considerations, and determining that it did not outweigh the strong evidence of obviousness. PPC appeals. PPC Broadband argues that the Board erred when it construed the terms "continuity member" and "electrical continuity member" to require "that the continuity member need only make contact with the coupler/nut and the post to establish an electrical connection there," without requiring that contact to be consistent or continuous in time (i.e., always connected). This case hinges on the claim construction standard applied. Under Phillips, we would hold that the correct construction of the term "continuity member" requires a continuous or consistent connection. However, under Cuozzo, claims are given their broadest reasonable interpretation consistent with the specification, not necessarily the correct construction under the framework laid out in Phillipsv. AWH Corp., 415 F.3d 1303 (Fed. Cir. 2005) (en banc). In re CuozzoSpeed Techs., LLC, 793 F.3d 1268 (Fed. Cir. 2015), cert. accepted. Here, the Board's construction is not unreasonable. While the ordinary meaning of "continuity" and "continuous" often refers to something that is uninterrupted in time, these terms can also refer to something that is uninterrupted in space. For example, a continuous line is continuous for the length of the line; there is no additional requirement of temporal continuity. Corning argues that "continuity member" should not be construed to require temporal continuity, as PPC argues. Instead, Corning argues that "continuity member" only requires spatial continuity—a physical connection that extends without interruption through the post, the continuity member, and the nut. There is some language in the specification to support Corning's interpretation of "continuity member." We thus conclude that the Board's construction—"that the continuity member need only make contact with the coupler/nut and the post to establish an electrical connection there," without requiring consistent or continuous contact—is the broadest reasonable construction. Under the Board's construction, there is no requirement of consistent or continuous contact through the post and the nut. Because the Board's construction does not include this additional temporal limitation, it is broader than PPC Broadband's proposed construction. Thus, while the Board's construction is not the correct construction under Phillips, it is the broadest reasonable interpretation of "continuity member," and because this is an IPR, under our binding precedent, we must uphold the Board's construction of "continuity member" and "electrical continuity member." Although the broadest reasonable interpretation of "continuity member" does not require the temporal continuity argued for by PPC, there are several claims that require such temporal continuity by virtue of other claim limitations. These limitations require the continuity member "maintain electrical continuity" during certain specified periods of operation of the connector. Maintaining electrical continuity requires consistent or continuous contact under both the broadest reasonable interpretation standard required by Cuozzo and the framework laid out in Phillips. Claims 1-9 of the '060 patent, claims 16 and 24 of the '353 patent, and claim 28 of the '320 patent recite a post and a body that are "shaped to fit" or "configured to fit" one another. The Board held that components that are shaped or configured to fit one another "are sized and dimensioned to abut one another," including components with surfaces that do not face one another. PPC does not dispute that the plain meaning of "fit" is that "an object is the proper size and shape." Instead, PPC argues that this plain meaning requires the two surfaces that are shaped or configured to fit one another to be somewhat parallel—that one surface "has a complementary size and shape as, and faces" the other surface. It argues that components whose surfaces do not face one another cannot be "shaped to fit" or "configured to fit" one another. It argues that we should vacate and remand as to these claims because the Board did not find that the combination of Matthews and Tatsuzuki teaches this limitation. We hold that the Board correctly construed these terms. Under their broadest reasonable interpretation, these terms have their ordinary meaning, which merely requires one surface to have a complementary size and shape as the other surface. PPC Broadband puts forth no dictionary definition supporting its argument that the surfaces must be somewhat parallel. Nor does PPC Broadband point to any disavowal or disclaimer in the specifications of the '320 patent family compelling departure from this ordinary meaning. We therefore uphold the Board's construction of "shaped to fit" and "configured to fit." Because PPC's argument that the combination of Matthews and Tatsuzuki does not disclose this limitation is entirely predicated on our adoption of its claim construction, we affirm the Board's decision that claim 28 of the '320 patent is unpatentable. And, although we vacate the Board's determination that claims 1-9 of the '060 patent and claims 16 and 24 of the '353 patent are unpatentable because of the "maintain electrical continuity" limitation, the Board correctly found that the prior art teaches the "shaped to fit" and "configured to fit" limitation in these claims. Although the Board found that certain objective considerations pointed towards non-obviousness, it concluded that Corning's strong evidence of obviousness outweighed these considerations. On appeal, the parties dispute the Board's findings with respect to the various indicia of nonobviousness, including long-felt but unresolved need, failed attempts by Corning, copying by Corning, and commercial success, as well as the overall weight given by the Board to these indicia. Substantial evidence supports the Board's conclusions as to all secondary considerations other than commercial success. PPC alleges that its SignalTight connectors are commercial embodiments of the connectors recited in the claims, presenting multiple declarations supporting this allegation. Corning did not argue to the Board that the PPC connectors are not commercial embodiments of the claimed connectors. When the patentee has presented undisputed evidence that its product is the invention disclosed in the challenged claims, it is error for the Board to find to the contrary without further explanation. There was no such explanation here. The Board in its opinions did not explain why the PPC connectors fail to embody the claimed features. Nor does Corning justify this finding on appeal. Substantial evidence does not support the Board's finding on this point. Because the evidence shows that the PPC connectors are "the invention disclosed and claimed in the patent," we presume that any commercial success of these products is due to the patented invention. This is true even when the product has additional, unclaimed features. This presumption does not apply in the ex parte context, where the PTO cannot gather evidence supporting or refuting the patentee's evidence of commercial success. It does, however, apply in IPRs, where the petitioner has the means to rebut the patentee's evidence. We leave to the Board the commercial success fact findings in the first instance under the correct claim construction. PPC appeals from the final written decision in an IPR concluding that claims 10-25 of its '060 patent would have been obvious. These were claims not addressed in the above decision. Because we conclude that the Board erred in its construction of "reside around," we vacate and remand for further proceedings. a continuity member having a nut contact portion positioned to electrically contact the nut and positioned to reside around an external portion of the connector body when the connector is assembled, wherein the continuity member helps facilitate electrical grounding continuity through the body and the nut and helps extend electromagnetic shielding from the coaxial cable through the connector to help prevent RF ingress into the connector. In the IPR proceedings, relying on a generalist dictionary, the Board construed the term "reside around" to mean "in the immediate vicinity of; near." The Board concluded that the combination of Matthews and Tatsuzuki taught a continuity member that was positioned in the immediate vicinity of, or near, an external portion of the connector body. Having found the combination of Matthews and Tatsuzuki to teach all other limitations of claims 10-25, the Board concluded that the claims at issue were obvious. PPC appeals. PPC argues that the broadest reasonable construction of "reside around" in light of the claims and specification is "encircle or surround," and contends that the continuity member resides around an external portion of the connector body even if it is not completely continuous. The Board seems to have arrived at its construction by referencing the dictionaries cited by the parties and simply selecting the broadest definition therein. And it does appear that among the many definitions contained in the dictionaries of record, "in the immediate vicinity of; near" is the broadest. While such an approach may result in the broadest definition, it does not necessarily result in the broadest reasonable definition in light of the specification. The Board's approach in this case fails to account for how the claims themselves and the specification inform the skilled artisan as to which ordinary definition the patentee was using. The fact that "around" has multiple dictionary meanings does not mean that all of these meanings are reasonable interpretations in light of this specification. The components of the coaxial cable connectors—for example, the nut, the post, the body, and the continuity member—partially or wholly encircle the inner electrical conductor. For the most part, each of these components has a geometry that is symmetrical around the inner electrical conductor. Given the context of this technology, it seems odd to construe the term "reside around" without recognizing the context of its use in terms of the coaxial cable at issue. To the extent that the Board reasoned that PPC Broadband's construction was at odds with other claim language, we do not agree. Claim 10 recites a continuity member that is "positioned to reside around an external portion of the connector body when the connector is assembled." There is a canon of construction: the general assumption is that different terms have different meanings. Thus, if the term "surrounded" was used in one claim element and "resides around" in a second claim element, it is reasonable to view the differing terms as being intended to have a different scope. This general canon, recognizing linguistic differentiation, is "not true for terms in the preamble." The purpose of a preamble is to set forth the general nature of the invention being claimed. It is generally not used as or intended to be a limiting factor in delineating boundaries of the scope of the invention as claimed. And in this case, no party argues, and the Board did not conclude, that the preamble of claim 10 is limiting. When the preamble has this general purpose, and is not being used as a claim limitation itself, the construction canon which presumes that different terms should be given different meanings has less applicability. When we turn to the specification of the '060 patent, it provides strong support for PPC Broadband's interpretation. Neither party disputes that the word "reside" indicates location. Instead, the parties' dispute centers on the meaning of the word "around." The specification's use of the word "around" leaves no doubt about its meaning. Corning also argues that we should reject PPC Broadband's construction because it excludes multiple embodiments disclosed in the '060 patent. It argues that the Board's construction, by contrast, includes all of the embodiments of the '060 patent. Essentially, Corning argues that the broadest reasonable interpretation is the interpretation which includes as many of the disclosed embodiments as possible. We have often remarked that a construction which excludes the preferred embodiment is "rarely, if ever correct." Vitronics Corp. v. Conceptronic, Inc., 90 F.3d 1576 (Fed. Cir. 1996). A construction which reads the preferred embodiment out of the scope of the claims would generally seem at odds with the intention of the patentee as expressed in the specification. This does not mean, however, that each and every claim ought to be interpreted to cover each and every embodiment. The '060 patent specification has more than 50 figures and discloses more than 20 embodiments of continuity members. It is correct that PPC's construction would not cover all disclosed embodiments. We will not adopt the position advocated by Corning that the broadest reasonable construction is always the one which covers the most embodiments. Above all, the broadest reasonable interpretation must be reasonable in light of the claims and specification. The fact that one construction may cover more embodiments than another does not categorically render that construction reasonable. Given the context of the claims, the specification, and the technology of the '060 patent, we conclude that the Board's construction of "reside around" is unreasonable. The broadest reasonable interpretation of the term "reside around" in light of the claims and specification is "encircle or surround." We agree with PPC that the '060 patent indicates that such encirclement need not be absolute. This is a close and difficult case because of the standard that the Board uses to construe claims. The Board applies the broadest reasonable construction standard even in IPRs which are litigation-like contested proceedings before the Board. The Board uses this standard even when the identical patent may be simultaneously in litigation involving the identical parties and where the district court would be deciding the correct construction consistent with Phillips v. AWH Corp., 415 F.3d 1303 (Fed. Cir. 2005) (en banc). Thus, it is possible to have two different forums construing the same term in the same patent in a dispute involving the same parties but using different standards. If we were tasked with reviewing the Board's construction according to Phillips, and in fact if the Board had applied the Phillips standard rather than the broadest reasonable construction, this case would be straight-forward. PPC's construction is the only construction of the term consistent with the use of the same term throughout the specification. But this case is much closer under the broadest reasonable interpretation standard given the ordinary meanings attributable to the term at issue. We conclude that while close, the Board's construction is not reasonable in light of the specification. Therefore, the Supreme Court's grant of certiorari to consider the propriety of the broadest reasonable interpretation in IPRs will not affect the outcome of this case. PPC also challenges the Board's determination that the Tatsuzuki spring met claim 13's "axially lengthwise contact" limitation. Dependent claim 13 recites that the continuity member "is configured to make axially lengthwise contact with the post at a position axially rearward of the external annular protrusion." In construing the term "axially lengthwise contact," the Board adopted PPC's proposed construction of "contact that is in the direction of, on, or along an axis that includes at least some length." The Board further explained that "because lengthwise contact includes at least some length, it precludes point contact." The Board found that Tatsuzuki's "thin metal plate" met this limitation, reasoning that it provided more than point contact "regardless of how thin" it was. PPC does not dispute the construction of the "axially lengthwise contact"; instead, it argues that the Board erred in finding that the Tatsuzuki spring met this limitation. We disagree, and find that substantial evidence supports the finding that Tatsuzuki's spring contacts the post at more than just a point.